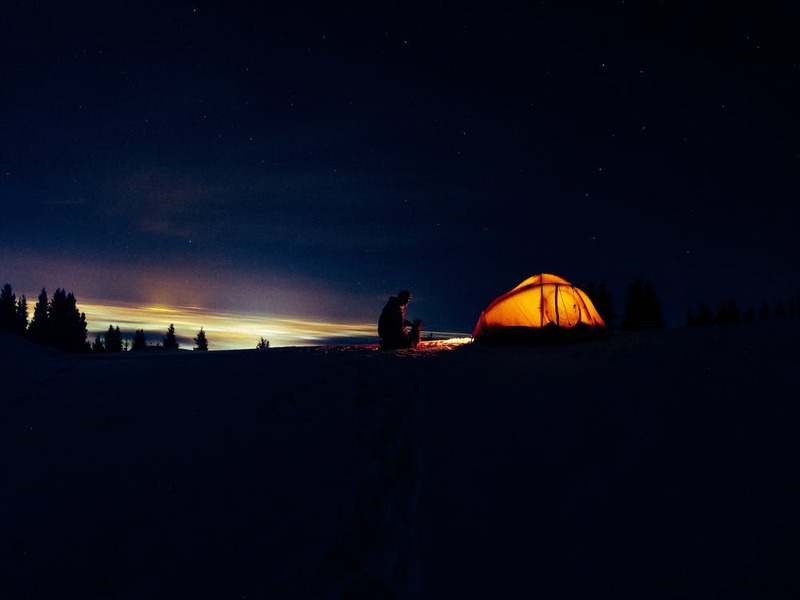 Guerrilla camping can be a truly thrilling experience and a way to explore the landscape without paying for expensive accommodation. Such camping however is not just about travelling to avoid any cost. Many stealth campers are effectively wild campers but cover ground in an expeditionary fashion. Many stealth campers enjoy wild places and being connected to the surrounding wild landscape. 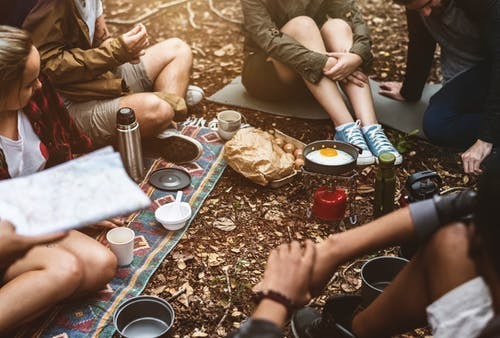 Stealth camping can go hand in hand with other activities including bushcraft, wild camping, bicycle touring, hiking and kayaking. 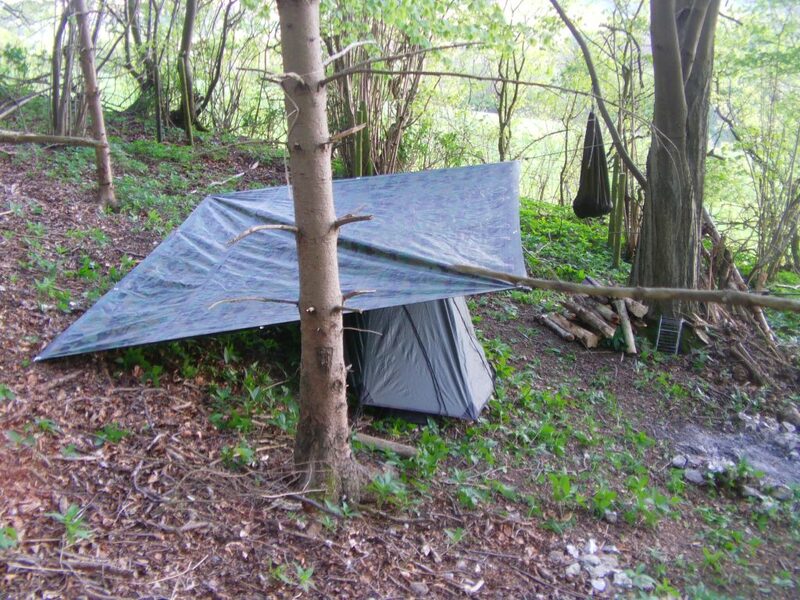 For some stealth camping is the thrill of being undercover and remaining hidden within the environment. It can allow guerrilla campers to exercise military tactics to evade capture and practice ultimate survival. There is no surprise stealth camping is popular with peppers refining their techniques for surviving a collapse. 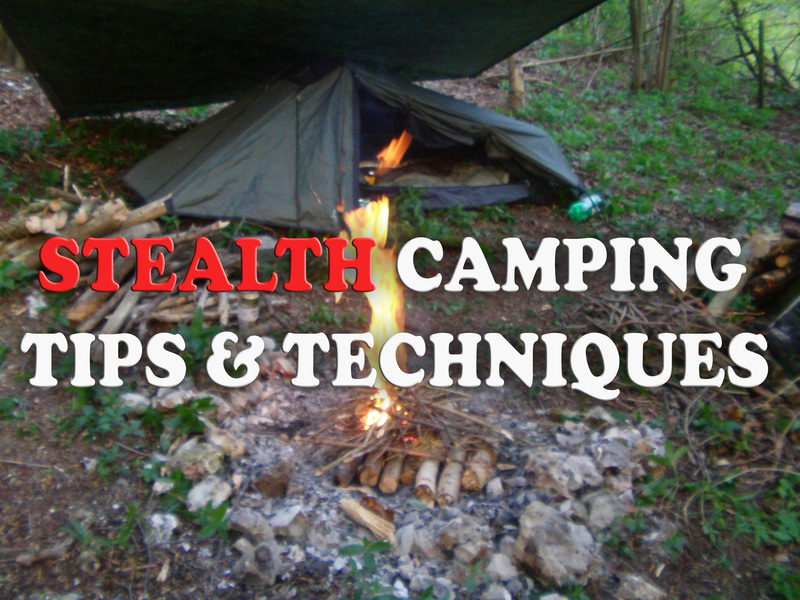 Stealth camping can be an excellent way to challenge your physical and mental resilience. Challenging endurance and survival camping experiences can relieve anxiety and build character especially within young people. Not all stealth camping is retained within the spectrum of camping on foot. Bicycle, motorcycle and even van stealth campers travel freely and experience new and exciting places. We have laid out the essential stealth camping tips and techniques in this article so you will have all the information you need to be successful. Camping on foot commands a completely different set of rules and kit. 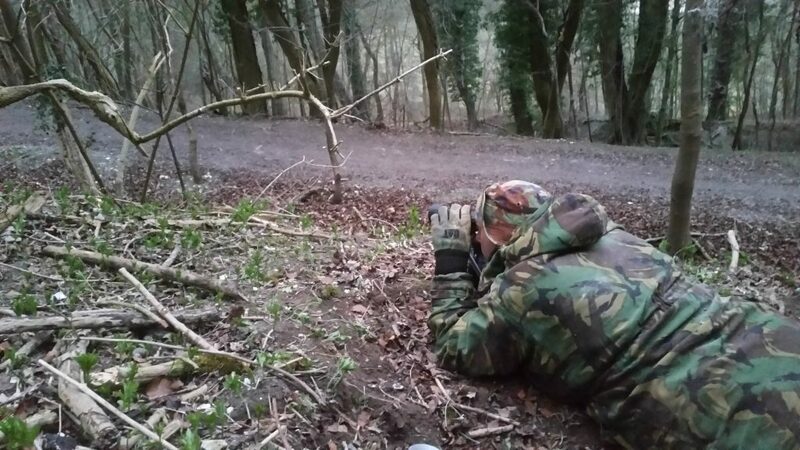 There are many varying activities which can be associated with stealth camping on foot. Bicycle campers and Kayaking campers will pretty much need the same equipment as cross country hikers. The difference with bicycle campers especially is the way in which equipment is transported. Bicycle campers usually have two or more rucksacks strapped up for even weight distribution when riding. Generally stealth camping on foot involves a form of wild camping. This can involve an expedition which tests endurance and skill especially if undertaking mountaineering activities. 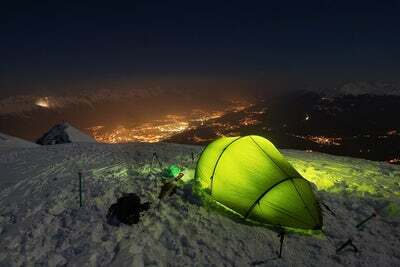 Stealth camping is the ultimate way to enjoy splendid views and amazing landscapes. 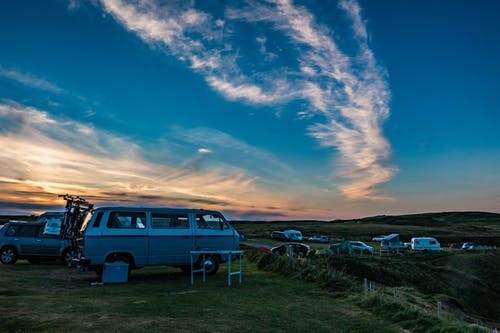 Guerrilla camping in vans is also a fantastic way to travel long distances and see new and exciting places. There are varying degrees of luxury which can be had with stealth camping in vans. This activity spans from travelling Hi-Tec motor homes to basic converted van set ups. 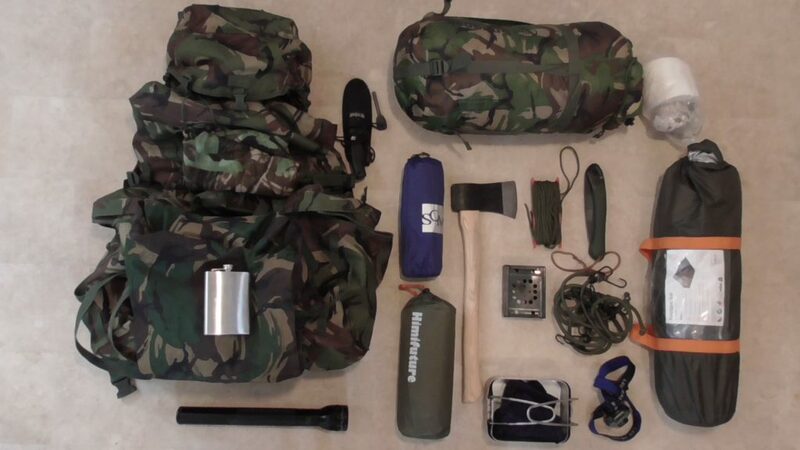 Either way the concept is still the same but you may need a varying array of kit depending on how basic you go. Vans give you the opportunity to travel with much more equipment than on foot and a much further range of activities. Van stealth camping however does not give you such an intimate experience with wild landscapes as camping out on foot does. The difference between a van and being on foot is quite distinct so require slightly varying tips and techniques. It cannot be stressed that having the correct kit will make life much easier in every aspect of stealth camping. Equipment which is methodically packed so items are accessible when needed is essential. Refining your kit is something you get better at over time but is best to get as close to correct from the outset. When carrying a Bergen try to adjust the straps properly so the load is evenly distributed. This is a very common problem and some rucksacks are just not a good fit for some people. It is also important to train with your gear before an expedition so you can get used to it. Having a plan prepares you for every eventuality when stealth camping. The best way to develop a plan is write down what your objectives are. If for instance you are trying to spot rare wildlife plot on a map all of the best places to probably spot them. Then plot the closest places to these which are the most hidden. 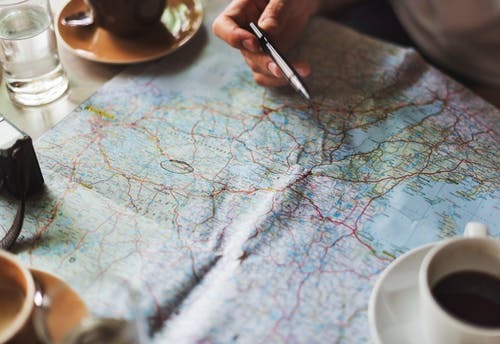 Use aerial photographs and topographical maps to plan your movement and rest points throughout the landscape. The more prepared the plan the more successful your stealth camping trip will be. Planning ahead with the following stealth camping tips and techniques will give you the best chance of success. The best way to have the most free flowing stealth camping experience possible is research. Try to find out if there are any events or land use in the area which would not be obvious by walking through it. Use search engines to explore if there are any activities local which could cause a camping hazard. For instance, learning there is hunting or a car boot sale every Sunday could mean it’s best to find another location. I always recommend going in on foot during the morning and afternoon to understand people’s movements. Look for tell tale sights of ammunition cartages and drug use. Places with these signs are best left well alone. Topography is a great landscape element which gives you the advantage when staying hidden. Most people do not like steep gradients and will either walk on pathways or at the tops or bottoms of hills. Steep gradients which are heavily wooded are even better as people hardly ever travel through them. I have found some truly jaw dropping places in these areas in the past where I think I could go for months without being discovered. Some steep hills have little ledges half way down perfect for pitching up. You can usually find the root masses of past felled trees as screens camping in the root hollow. Be wary of these locations make sure there are no precarious tree hazards over head or widow makers. Always try to blend in with your surroundings and try to foresee the type of landscape you will be guerrilla camping in. Most of the time stealth campers will be camping out in wild grasslands or woodlands. I personally like camouflage where possible as it helps to break up your outline. Dark greens and browns are also good for tarps there is a link to a very good camouflage tarp here. Once you have a particular coloured equipment try to pick a camp with similar colours behind you. Try to camp where your silhouette is not visible against the skyline and try to blend into a back ground. When entering an area try to look for tracks and trails. Figure out which are from humans and which are from animals. By applying some simple tracking techniques you can establish if and what uses the land. If you see multiple human footprints perhaps the area is not as secretive as you first thought. Try to avoid an area if there are tracks of large animals like cattle. The last thing you want is to wake up with a tone of beef sniffing at your sleeping bag in the night. Usually this is nothing to lose too much sleep over but if there are blatantly obvious tracks in very revealing substrate you may wish to cover your tracks. More importantly do not leave any obvious signs of disturbance within the landscape. 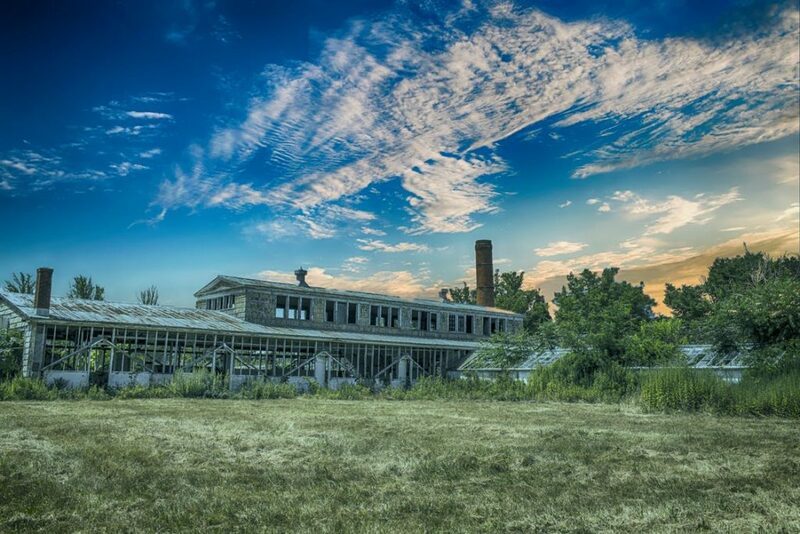 People who walk nearby hidden places every day have a subconscious map of the area. They usually notice if something is out of place or not right. Fires are great for the ultimate camping experience but they can be a giveaway to stealth campers. Out of place fires spotted in the distance can provoke local people to come and check them out. I would really do your homework and expect that if you have a fire you may be seen. 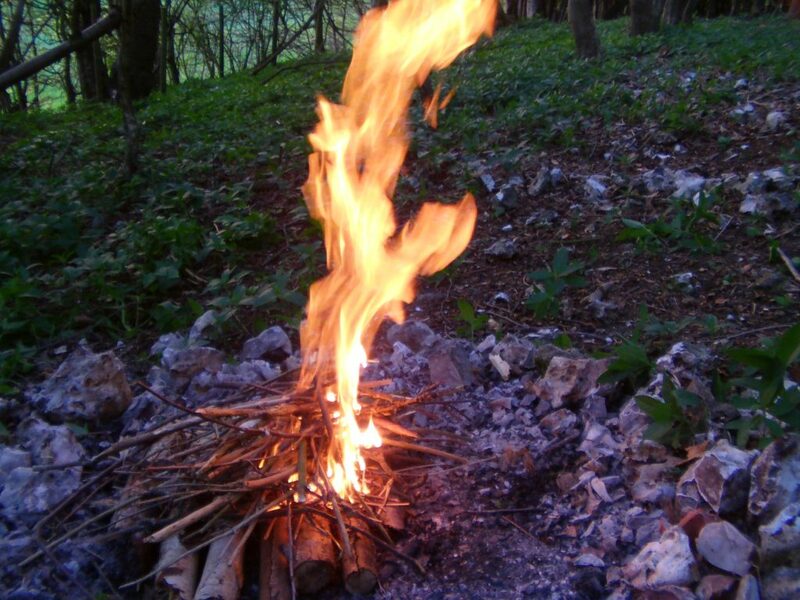 Try not to have fires in summer or in pine forrests as you can start off a forest fires! Always make sure your fire is down wind and at least a stride and a half from your tent. Be discreet in everything you do don’t just try to stay hidden try execute your camping as if no one was there at all. I always say I would want someone to walk within 20 metres of me and never know I was there. This for me is the essence of stealth camping and trying to blend in with your environment. Camping with more than one person is fun but remember the more people the more noise. I always say anymore than three people is probably too many unless you have a good location and excuse. It is good to exercise wild camping politeness for nature to leave the area as you found it. Always leave no trace of your presence and have a respect for nature. Always be cautious around low lying areas, creeks, dry river beds and wetlands these areas can be susceptible to flash flooding. Being swept away or drowned will not be a good stealth camping experience. Always try to have at least two escape routes out of your campsite. If you hear someone approaching or have a confrontation it is always best to have your escape route ready to go. Always remember talking to loudly or joking around will attract the wrong sort of attention. Even small sounds out of the ordinary like rattling rucksack attachments and clanging gear can give your game away. Small sounds are especially noticeable by people’s pets and especially dogs. Dogs can be a major pain when attempting to stay hidden from people they can pick up on the slightness of movements and easily pick up your scent. 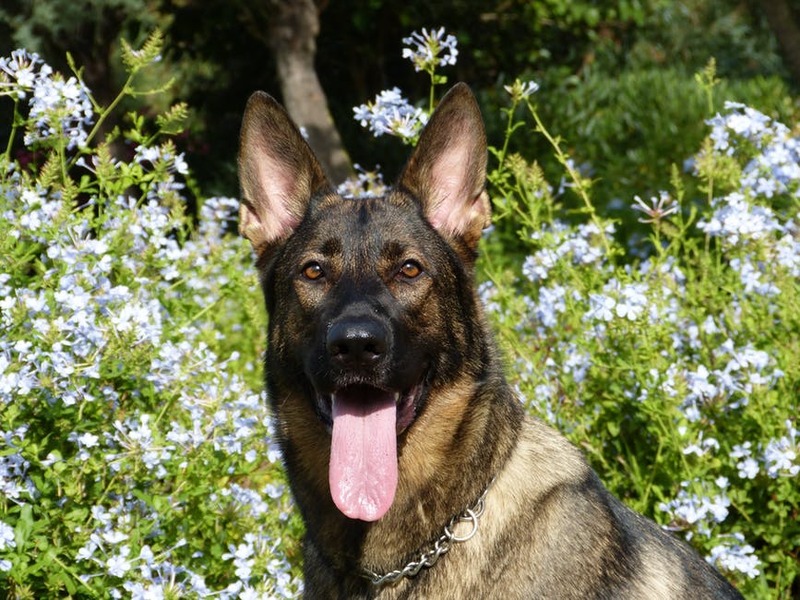 Try to stay far away enough from dog walking routes so you can stay clear of these hazards. Most of the time dogs will bark a few times and then run away but be warned! Some areas do have guard dogs that patrol and they may not be so forgiving. 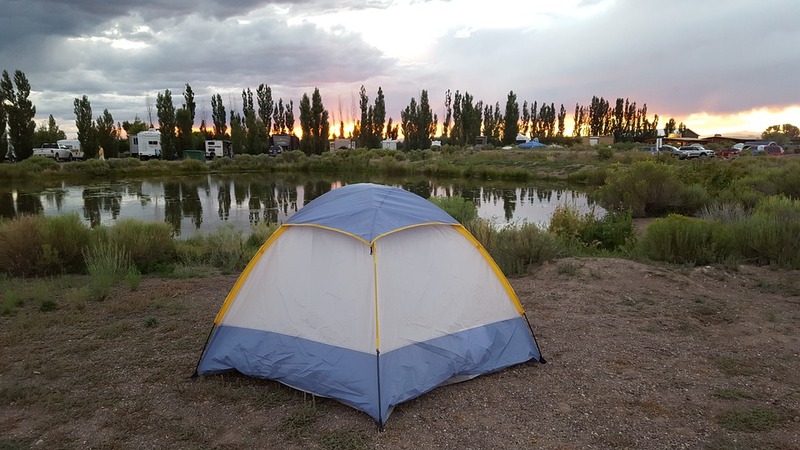 Learn as much as possible about your camping area before you commit to spending the night there. These stealth camping tips and techniques are some of the most important! The best way to stay hidden is simply to pitch up just before dark and pack up at first light. It is easy to wake up early when camping due to the morning sun. It is always best to move out rapidly to avoid detection. Get to know your kit and practice setting up and packing down. Time yourself to see if you can do it within five minutes, if you can you are a true stealth camping master. Because you are living outside the boundaries of acceptable civilisation when stealth camping you must be prepared for the worse. You never know what may happen when existing on the fringes of civilisation especially in far to reach places. It is very possible to fall and break an ankle and be stuck in a hard to find place while in shock. Always have at least one person who knows where you are camping via map. This can be emailed to people you know or left in an obvious place. Always have someone who is expecting you back at a certain time. When in shock your despair can attract predatory animals so also having some form of defence with you can be vital. Bear spray, loud alarms and even flairs can be reassuring and very effective in a confrontation. Always have a charged up mobile phone or electrical communication device when stealth camping. Try to act within the law at all times and this may simply involve researching local rules. Camping is not morally the worst crime in the world so if you are prepared for a slap on the wrist it is up to your own discretion. Dawn and dusk are the times of day when there will be no one really around! These are the best times of day to set up and take down your camp without being noticed. If you stick to this rule it is almost imposable to get disturbed. Having a long lie in may be relaxing but it is not the best option for remaining hidden. Dog walkers, hikers, horse riders and joggers can be up early so beware of staying pitched up for too long. Always beware of entering gated or fenced off areas to camp. Sometimes these laces are open for a limited amount of time and then locked up again. In some cases these areas can be relocked for days or even weeks at a time. When stealth camping try to not enter areas where you can get trapped without a method of escape. Using lights at night may be difficult to avoid but they can give away your location. Try to organise your equipment and camp the same methodical way every single time. This will reduce the need for having to light up the whole area every time you need something. Most torches and head torches have a red light option. Red light has less glare which can go undetected easier helping to preserve your night vision. Sometimes it pays to be bold! Numerous times I have seen stealth campers blatantly pitching up on a field or village green. In these situations most people assume you must have permission for camping or think it is a one off joke. If you do take this approach be warned that it could end up with hassle. In the UK at least the more entitled and wealthy of society can make it their business to police their little patch. Even so always be polite and move on the next day. This useful little method can indirectly take the blame off you for any wrong doing! Excuses like ‘I arrived late and could not find the campsite’ or ‘someone told me it would not harm anyone to camp there’. These can start an honest and innocent conversation between the potential conflicting parties. Again politeness and respect will usually result in a pass to move on in the morning. With stealth and guerrilla camping it always pays to have a good plan B. If your first option becomes unviable or awoken and moved on disorientation can make decisions difficult. Having a second option for these scenarios is extremely useful. Pleading ignorance is commonly a polite way to wriggling out of lighter wrong doings. This however becomes more difficult when there are clear signs demanding the contrary. Always save yourself the hassle and stay clear of signs forbidding trespass. Also signs stating things like beware of patrol dogs takes more blame off the land owner if you do get mauled. Stay away from warning signs. There is nothing wrong for asking peoples permission for places to camp if it is just for one night. I know of many occasions old country pub managers suggest you can camp in their pub garden. This is usually after giving them substantial business off course. 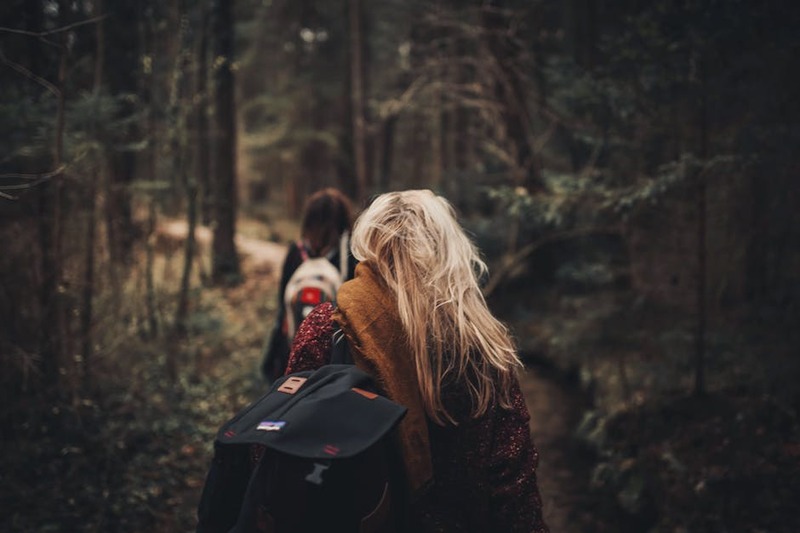 Commonly people will see you are travelling through and if you initiate harmonious conversation they occasionally can offer good places to camp. Areas where people hunt can be very hazardous places for stealth camping. Sometimes these places are not obvious and shooting from the hip is mitigated by the assumption no one will be around at night. Look for the tell tale signs of ammunition cartridges and mounted hazard signs. For this reason alone it is extremely important you do your research on an area before staying the night. 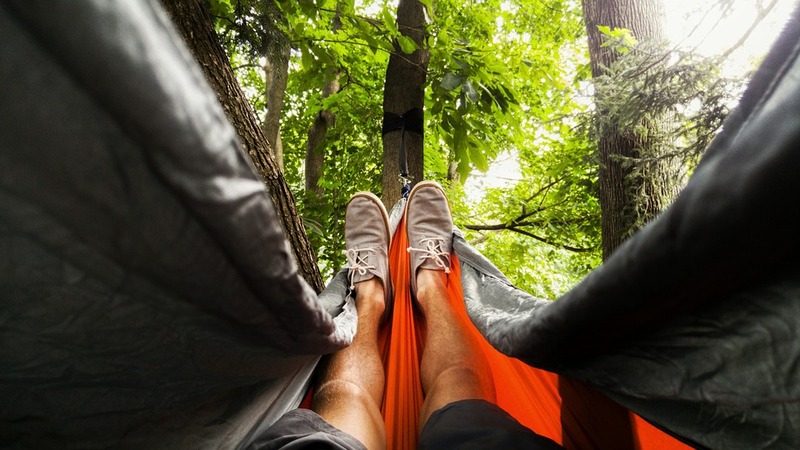 Guerrilla camping whether in a van or on foot can be an enjoyable experience. 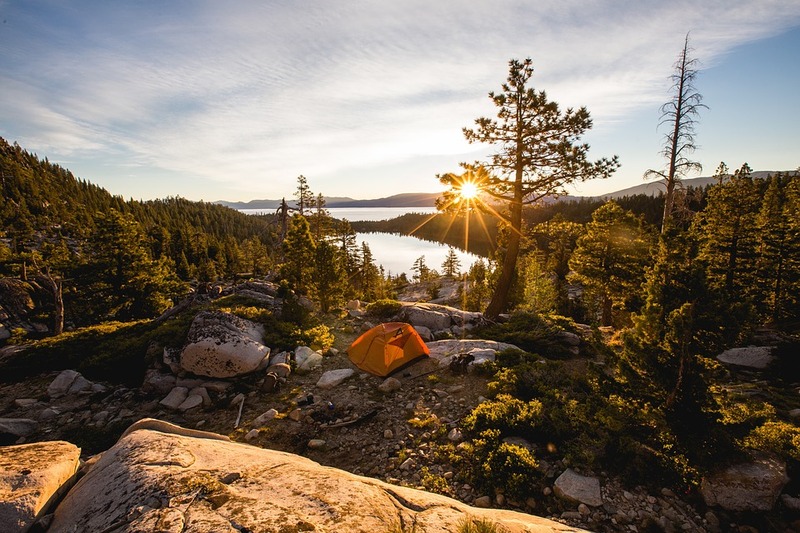 There are always potential hazards to camping in places away from home but these can be avoided with good planning. By following these stealth camping tips and techniques you should be well equipped for a safe and enjoyable expedition. Happy stealth camping from Stealth Camping UK! Why not check out our article on stealth camping equipment here. Thank you for reading our article on stealth camping tips and techniques. If you enjoyed reading and it helped with your search why not share it with your friends? This really helps us to know we are tackling the right topics and to continue to write useful content in the future. Thanks again!